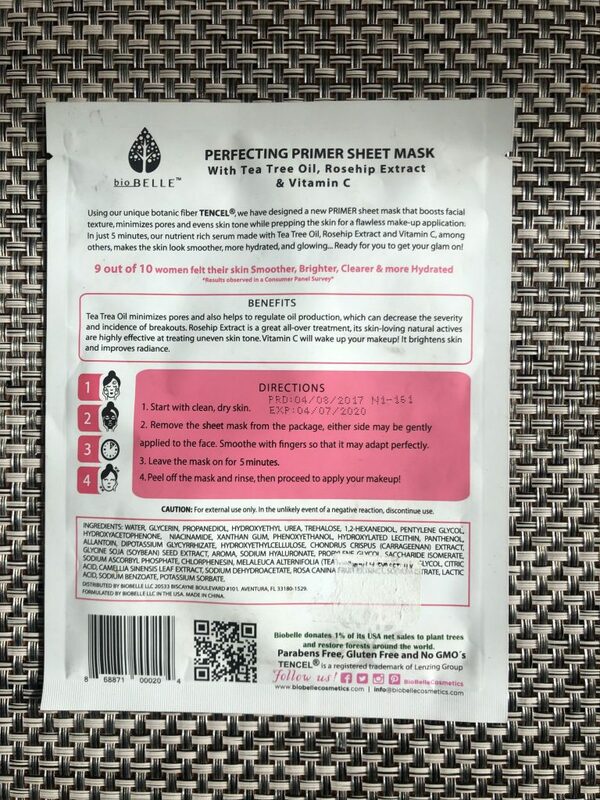 Using our unique botanical fiber TENCEL®, we have designed a new #PRIMER sheet mask that boosts facial texture, minimizes pores, and evens skin tone while prepping the skin for a flawless makeup application. In just 5 minutes, our nutrient-rich serum made with tea tree oil, rosehip extract and vitamin C, makes the skin look smoother, more hydrated, glowing and ready for you to get your glam on! Enhances radiance, Minimizes pores, Evens skin tone, Gives the skin a boosted and refreshed appearance. 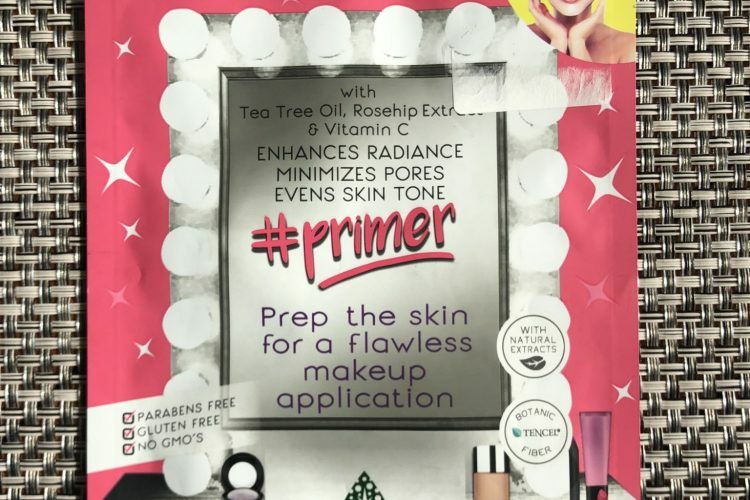 After using #Primer, 9 out of 10 women felt their skin was smoother, clearer, and brighter. 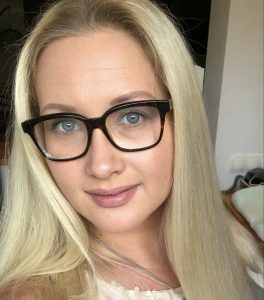 8 out of 10 women showed a diminishing of the appearance of fine lines (based on a consumer perception survey of 33 women who used the product 3 times a week for 2 weeks). Remove from packaging and smooth over clean, dry skin. Leave on for 5 minutes, peel off, and massage excess serum into skin or wash off. Use 1-3 times per week. 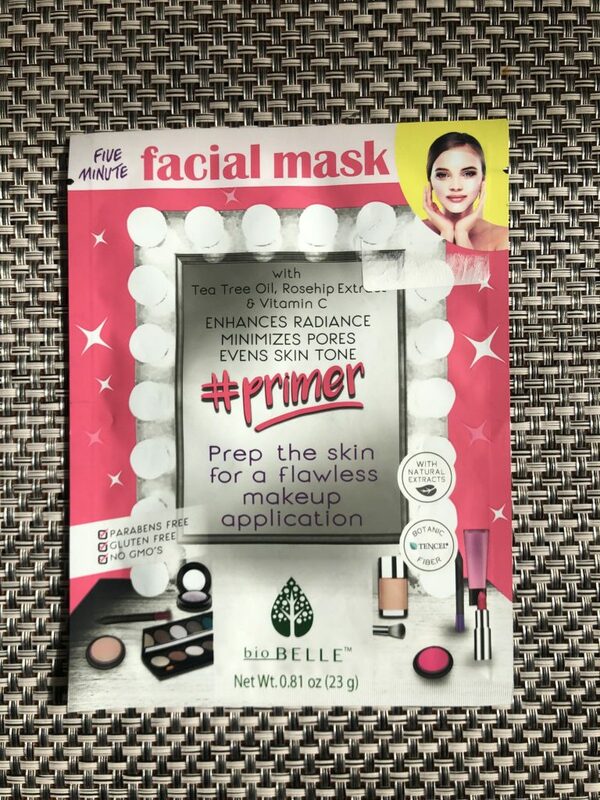 bioBelle #Primer Facial Mask is one of my top used masks over last few years. I used to stock up on these through the Beautybay but they seem to be out of stock for forever now so I am genuinely concerned wether these will be so easy to get for me from now on. The mask is true wonder when it comes to skin prepping before a day out or an important event when your skin needs to look flawless. 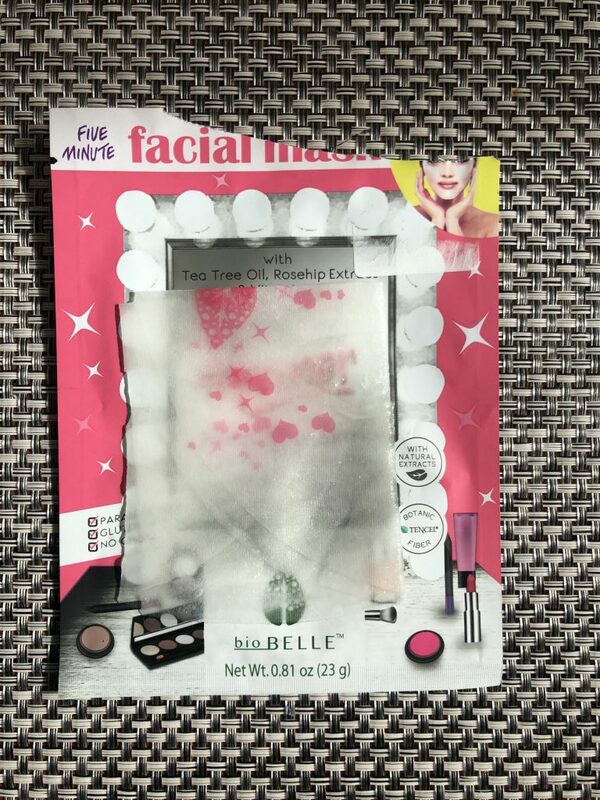 The mask comes in a simple pretty packaging and is very easy to apply on your face. The sheet is made of tencel and is stretchy so it will perfectly hug any face shape and type. There are little hearts and girly things printed on the top of the sheet making it an extra cute product for those selfie moments. Overall, a great fit and adherence are guaranteed! The essence is transparent and has strong HA ampoule feel to it. It has a strong floral scent that reminds me of an air-freshener from AirWick. If you are not a fan of strongly perfumed sheet masks, this one is not for you. The essence is watery and with a nice slip to it. Reminds me a lot of MIZON Hyaluronic Acid Moisturizing Serum. The wearing time of the mask is about 20-25 minutes but you can also wear it for recommended 5 minutes if you’d like. I love my masks on for 20-30 minutes if possible. 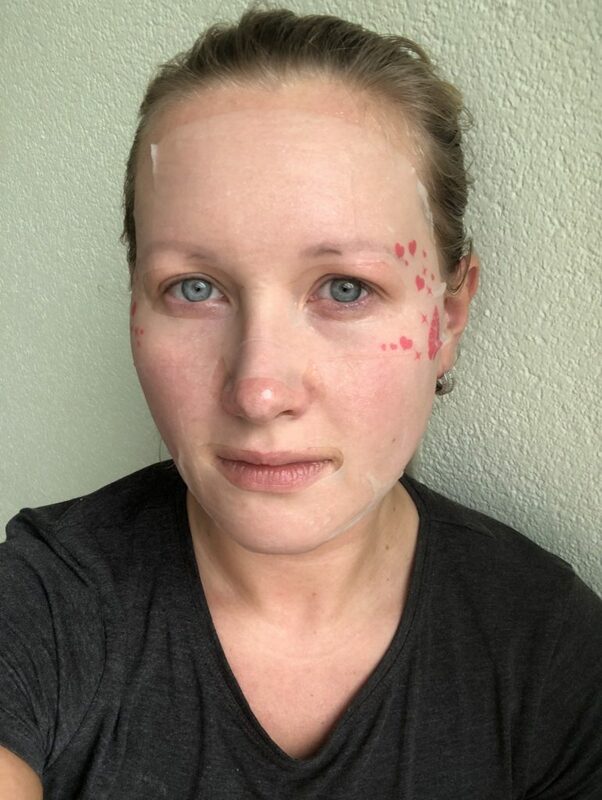 After the mask is removed first you see is the even tone of the skin. No joke guys, thanks to the niacinamide and vitamin C n it’s formula it does instantly liven up the tone of your face. I really like the effect. The skin is also very smooth and pores a slightly blurred. I like how well hydrated my skin feels. Overall, it does not give any lifting effects or promises in that direction but it does definitely plump the thin skin around the wrinkles making them less visible. After use the make-up glides on flawlessly. There is no creasing nor pilling and my make-up lasts me all day without extra dramatic sheen and oil production. To sum up, simply WOW!!!!! I am so in love with these and hoping that they will never get discontinued. Ever!